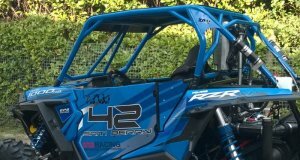 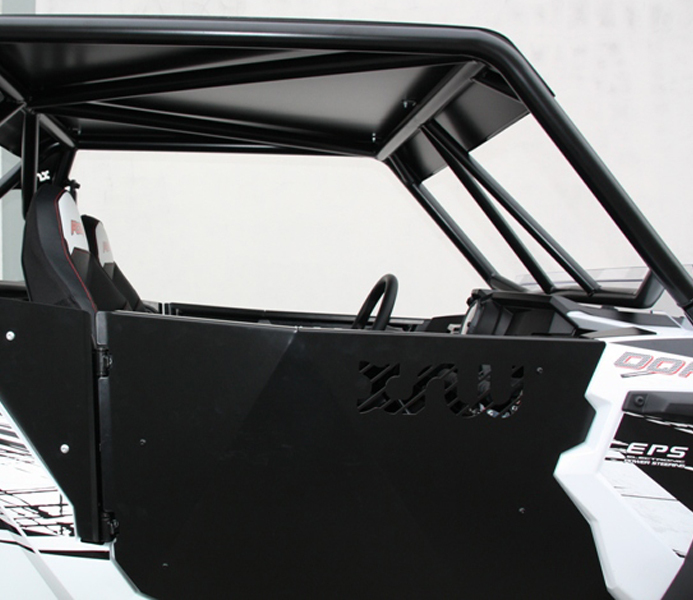 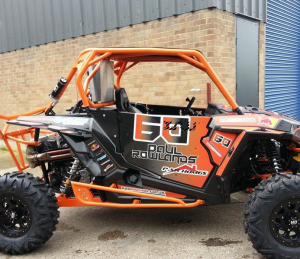 The race proven XRW Roll Cage is available for RZR 900 and RZR 1000 it is a lot stronger than the stock cage and benefits from using the stock mounting brackets for easy application. 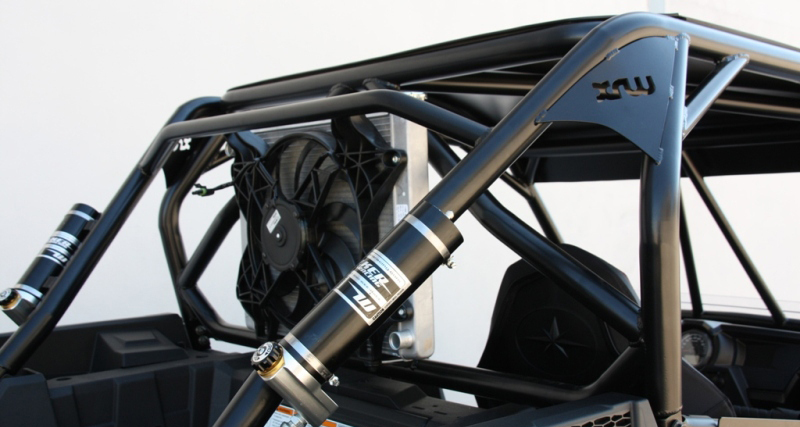 It comes with pre built radiator mount so that it can bolt straight onto the rear for easy cooling and less chance of getting damaged also the roll cage comes with black aluminium roof for added protection. The roll cage comes standard in matte black or can be powder coated in the colour of your choice. 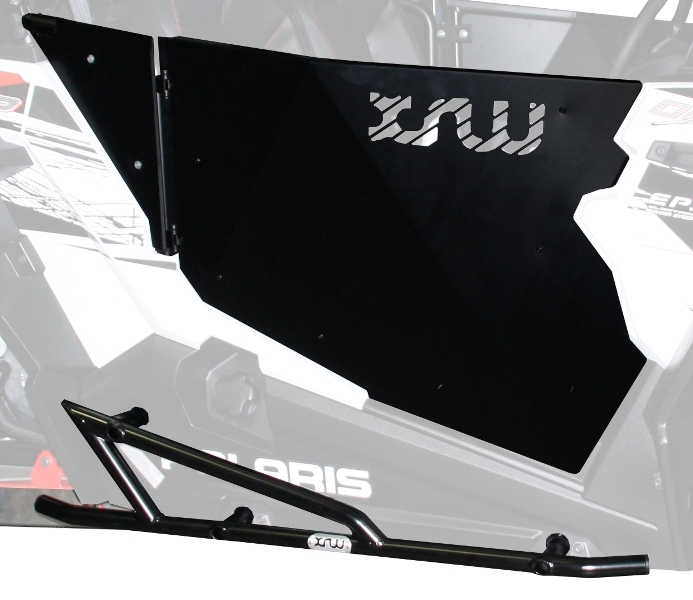 XRW Doors are the perfect accessory for your vehicle not only do they protect you from been roosted and falling out they look good to. 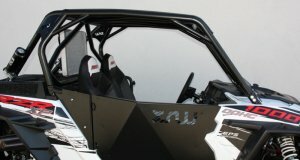 The doors are made from hard Aluminum - Special alloy 6060 with a T5 treatment with a matte black finish.The doors are available for both the RZR XP900 and RZR XP 1000 and can be fitted with full custom graphics to match your RZR.